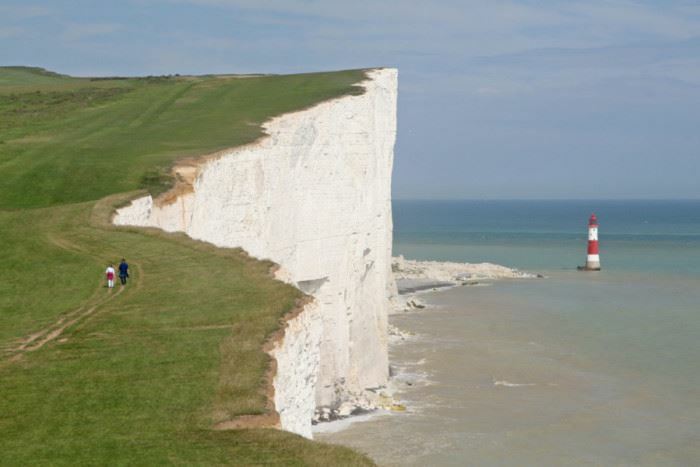 Intrepid YCL Walkers, join us for this spectacular walk from Eastbourne taking in the famous Beachy Head, Britain’s highest chalk cliff. We will aim to meet and start the walk from Eastbourne Station. There are some steep parts, though once on the cliffs the path levels out, and the views are truly breathtaking. We will stop for an early lunch at the Beachy Head Pub. The total walk is 5 miles (8.1 km) and should take around 3.5 hours to walk to the village of East Dean, where bus services run every 10 minutes back to the start. An optional walking return route adds 2 miles (3.4 km). Click here for more information and the route. The challenge is getting to Eastbourne from London, as it is serviced by the notoriously unreliable Southern Rail. If at all possible, please arrange your own transport to meet at the Eastbourne rail station at 11 am. There is a possibility of sharing a car/van (with a shared cost). Please contact Nixi Cura about this. Return rail between Victoria Station and Eastbourne with changes costs around £32; travel time each way runs about two hours. Go to Trainline to explore this option. Please let us know if you’d like to join us or if you have any questions by contacting Victoria Allen Stainsby.